No matter how well-protected your home is, there&apos;s always the possibility that a natural disaster could occur and wipe out all of your important personal documents. Legal history, medical backgrounds and personal information is not something that you want floating around in the case of an emergency or a break-in, so why take a chance? You can easily store your documents away from your home in a place that is secure from natural disasters and those with bad intentions. 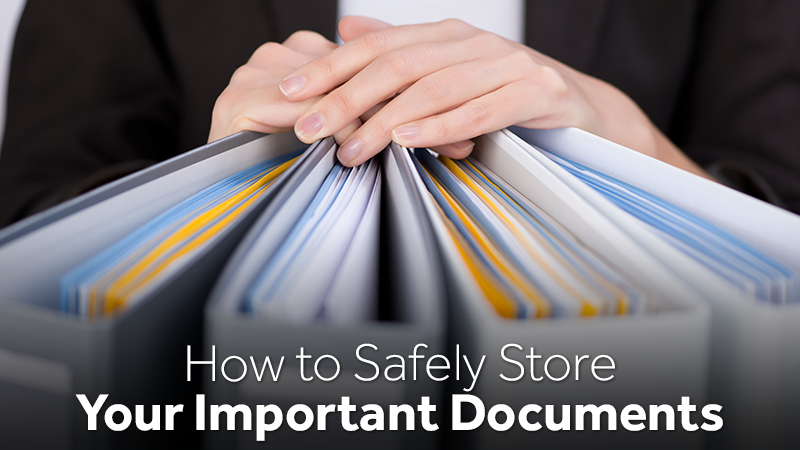 Getting your documents into a secure location is only half the battle. You&apos;ll also need to ensure that you&apos;ve adequately packaged your important materials in a locked cabinet or a fire safe. 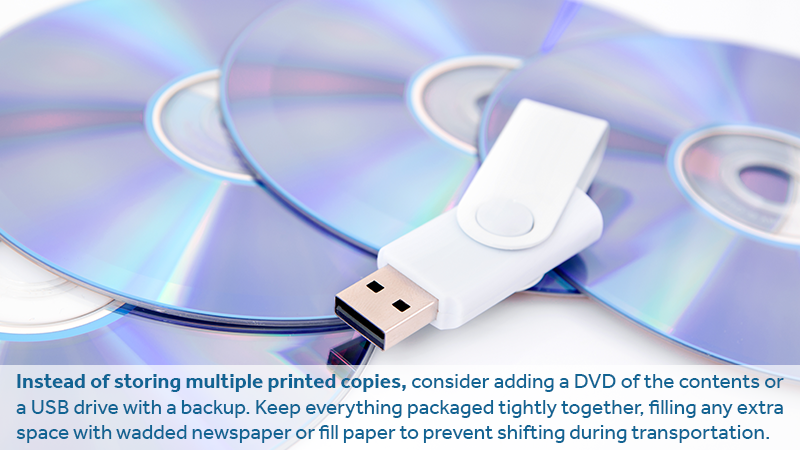 Instead of storing multiple printed copies, consider adding a DVD of the contents or a USB drive with a backup. Keep everything packaged tightly together, filling any extra space with wadded newspaper or fill paper to prevent shifting during transportation. Finally, paper can be heavy so be sure to keep the maximum box weight at around thirty pounds or less to lessen the chance that you&apos;ll suffer a back injury during the moving process. If you have a vast quantity of records that you need to store for your business or personal ventures, consider creating digital copies of your items to save storage space. Not only are digital records such as CDs, DVDs, external computer hard drives and USB drives safe and affordable, but they will also take up a great deal less space than storing the same amount of information in paper format. Paper materials are not the best long-term storage method as they can be damaged by heat and humidity, while many digital storage solutions are resistant to all but the most extreme conditions, such as fire. Call us today to see how we can help you keep your important documents safe, secure and accessible! At Zippy Shell Houston, our portable storage and moving services are the ideal way to protect yourself and your family both now and in the future. We&apos;ll help you see how you can make your next move or cleanup project easy and stress-free!